You’re ready to add a Border Collie to your family. Where do you start? The information on this page should help you out. 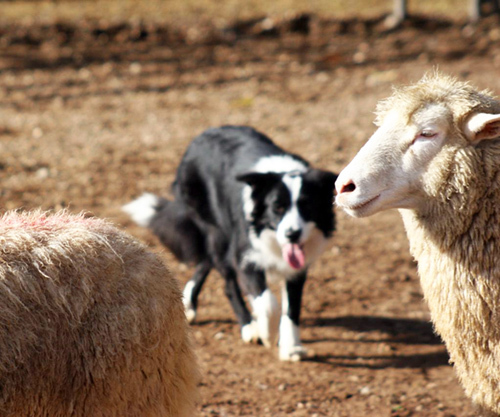 Educate buyers regarding their choice of a Border Collie. Help direct buyers to responsible, ethical breeders. In addition to reviewing the information below, please visit these important pages. Should You Buy/Adopt a BC? The Border Collie Breeder Referral Program was organized as a service to the Border Collie community, Border Collie breeders and buyers. The Breeder Referral program is a service offered by the Border Collie Society of America (BCSA). Participation requires that the breeder be a member of the BCSA. The BCSA Breeder Referral Directory itself is very informative and should be valuable in guiding buyers to breeders who are responsible and who are breeding dogs that fit their needs. The breeders are listed alphabetically by name or kennel name and state. The activities they participate in with their dogs, and the health testing they routinely perform is listed. These are only a guide. We suggest to buyers that they screen the breeders to the best of their ability, as inclusion in this list is not a guarantee of the breeder’s reputation, or the qualities of the dogs they produce. Keep in mind that a responsible breeder will screen you as closely (or more so!) than you will screen them. POINTS OF GUIDANCE: Keep in mind that very few (if any) pedigrees are clear of all health issues. A responsible breeder conducts numerous health tests and makes the results of those tests available to buyers. Buyers should be shown the actual veterinary certifications or statements of testing. There are many different types of tests available to dog breeders. It is up to the individual breeder and buyer to form their own opinions on the efficacy of the individual certifications and testing. For example, if a dog is said to have been tested and found free of Canine Hip Dysplasia, the evaluation should have been done by one of the three hip certification organizations; OFA, GDC, or PennHip. It is not the desire of the Breeder Referral committee to determine which is more reliable or more desirable. Participation in activities either directly by the breeder or with owners/handlers on dogs the breeder has produced, gives an indication of the potential soundness and stability of those dogs. It is not a guarantee, but does suggest that the breeders dogs can perform these tasks and may have the aptitudes needed for them. It is also indicative of the fact that the breeder has goals in his/her breeding program. It can also guide the buyer in the focus and activity level a specific line may have. Responsible breeders limit the number of litters they produce each year, and are conscientious about where their puppies are placed. While it is not the intention of this committee to give an ideal upper or lower number of litters that a responsible breeder produces in a year, an average guide is 1-4 litters. Be wary of breeders producing too many litters as they are directly or indirectly contributing to the dog population problem. The breeder’s dogs, and specifically the parents and relatives of the puppy/litter you are considering should fit the needs you have in a dog. Although quality does not always beget quality, there is some truth to the saying “the apple doesn’t fall far from the tree”. AKC requires that breeders place puppies with written contracts. However written or spoken, the breeder should cover any requirements they have well in advance of placing a puppy with you. Note that responsible breeders often have a waiting list for puppies. It is usually worth the wait. Be prepared to go through a screening process and a waiting period before locating a Border Collie puppy. Although you may want a puppy “today”, or have an “ideal” time in mind to bring your puppy home, keep in mind that finding a puppy who’s aptitude and energy level most closely fits your lifestyle, a puppy from health tested parents, a puppy who has been given a good start in life, is far more important than the time you bring the puppy home. Although certain times of the year such as a vacation time, might be more conducive to your schedule, a Border Collie will be a part of your life for the next 12-16 years. Although it is nice for the owner to be home 24/7 during the puppies first few weeks, it is not necessary for the puppy. In fact, many trainers recommend that you get the puppy started on it’s regular routine from day one. If you can’t take the time or spend the money to buy from a responsible breeder, please consider instead a rescue rather than purchasing from a pet shop, farm, or back yard breeder. Feel free to contact the listed co-chairs of this committee with any questions you may have, or for further guidance in locating a Border Collie.